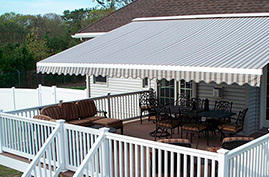 We know you’re looking for excellent awnings and shade structures. 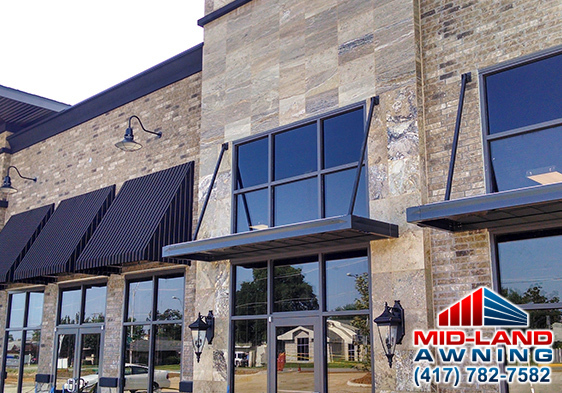 Your home or business deserves elegant and durable protection from the elements. 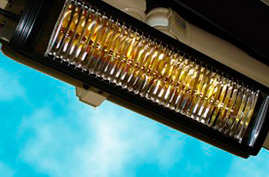 We know living in Southwest Missouri and surrounding area the weather can be harsh at times including scorching sun, driving rain and lots of snow. 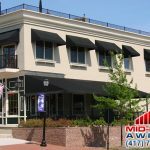 That’s why when it comes to covering your deck, patio or storefront, a quality awning or shade structure is the perfect solution. But, maybe you just don’t know where to start. Take a minute to read our Frequently Asked Questions (FAQ) which should help you narrow your search. 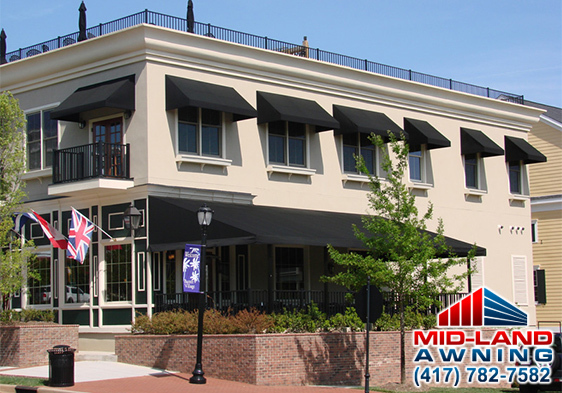 No matter what product you decide on, Mid-Land Awning provides the highest quality product, installation and service. 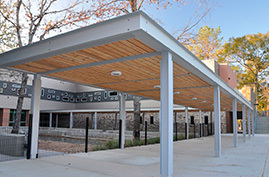 We are a commercial and residential contractor and our product line includes, pre-engineered aluminum and metal canopies, custom fabricated canopy structures or awning frames, Sunbrella and Recacril fabric canvas and aluminum awnings for doors and windows, interior and exterior window shade products, screened-in or glassed in enclosures, parking shade structures and retractable screen doors. 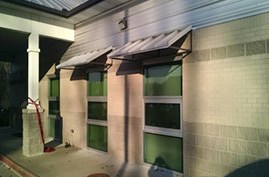 We can estimate, create renderings of the shade product on your building along with full submittal drawings in AutoCAD. 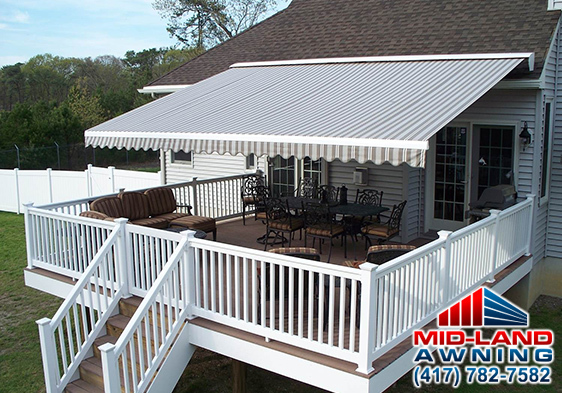 We work with general contractors, home owners, architects, designers, landscape designers and architects, insurance companies for damage claims, property managers and real estate developers to create the perfect shade solutions for your home or facility. 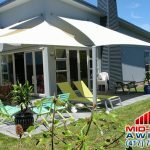 As awning industry experts our pledge is that our customers will have the peace of mind that we always have their best interest in mind. 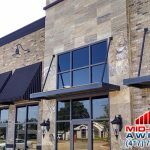 Own a home in Southwest Missouri? 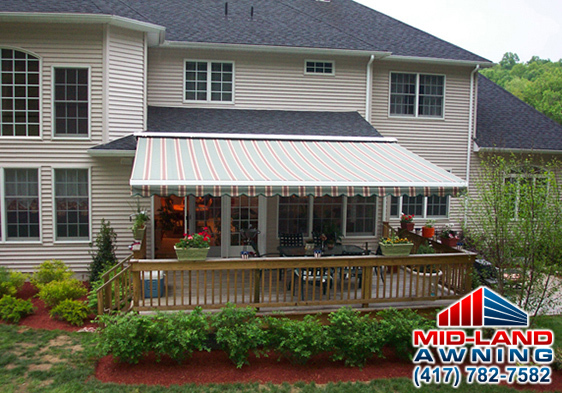 Mid-Land Awnings specializes in custom awnings for your home or business. 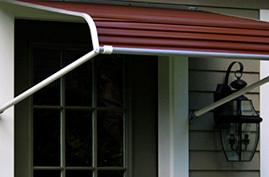 Aluminum door and window awnings are the perfect choice when you need protection from the elements. 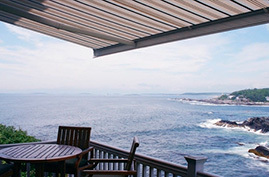 Need a custom canvas or steel awning? 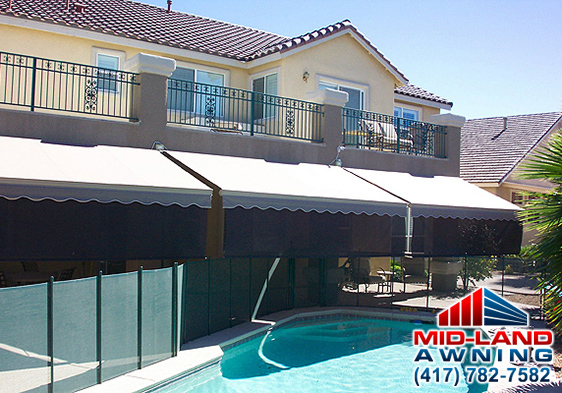 Mid-Land Awning is your go to source for all of your custom awning needs. Kick-back and relax, protected from the sun’s harsh rays and annoying flies and mosquitoes. 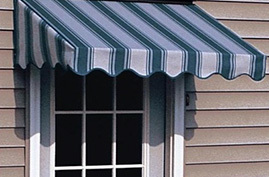 Our product line of awnings are available in several styles and designed to fit nearly every application. 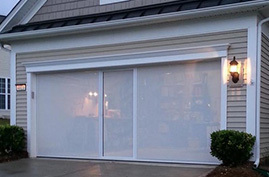 Now you can go from garage to a cool, bright, pest-free space in seconds. 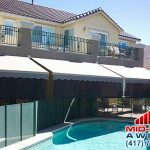 Offering a variety of styles, shapes, and colors, our ability to customize any carport or canopy will surely meet your every need. 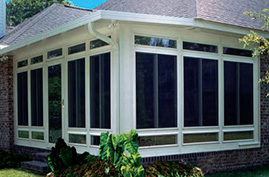 Let the fresh air in and keep the bugs out! 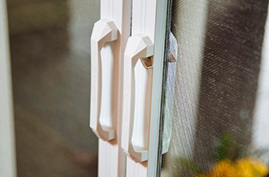 With our retractable door screens, there’s no need to worry about blocking your view. 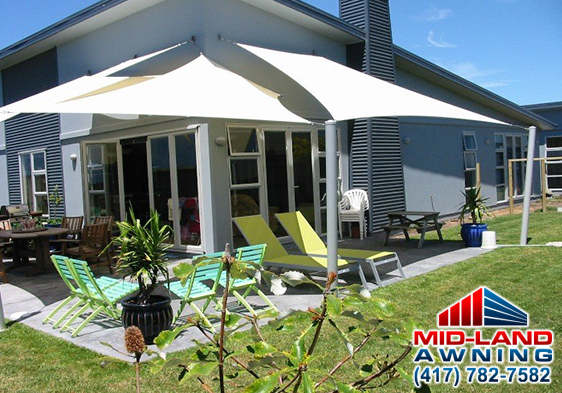 Get even more enjoyment from your Mid-Land Awning products by enhancing your experience with any of our quality awning accessories. 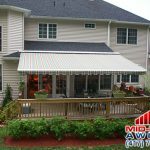 The Midwest Fabric Products Association is a trade organization comprised of fabric product manufacturers and suppliers to the industry. We proudly represent the states of Illinois, Indiana, Iowa, Kentucky, Minnesota, Missouri, Nebraska, North Dakota, South Dakota and Wisconsin. 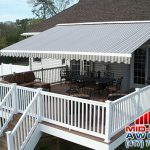 Our association is fabric professionals helping fabric professionals in other areas of the Midwest by sharing ideas, promoting products and advancing new ideas. Our association offers our highly successful annual conference, along with valuable networking opportunities, as you’ll meet a number of other industry professionals, including new vendors & suppliers.